Etienne Smit was born in Johannesburg. 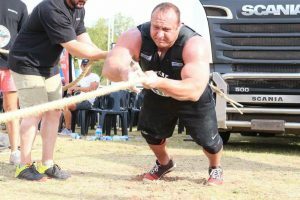 He started his strength athletics career at the age of 26 and within five years had become crowned South Africa’s strongest man. From 2004 to 2009 he did not relinquish this title winning a record six times in a row. Eitenne Smit has competed at the World Strongest Man on two occasions and is known for his strong back in the deadlift. 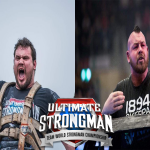 Etienne Smit is now a master with Ultimate Strongman and will be taking on the best Masters in the Master World Championship 2018 in Belfast. Buy your tickets now to see Etienne compete against the likes of Zydrunas Savickas and Mikhail Koklyaev.